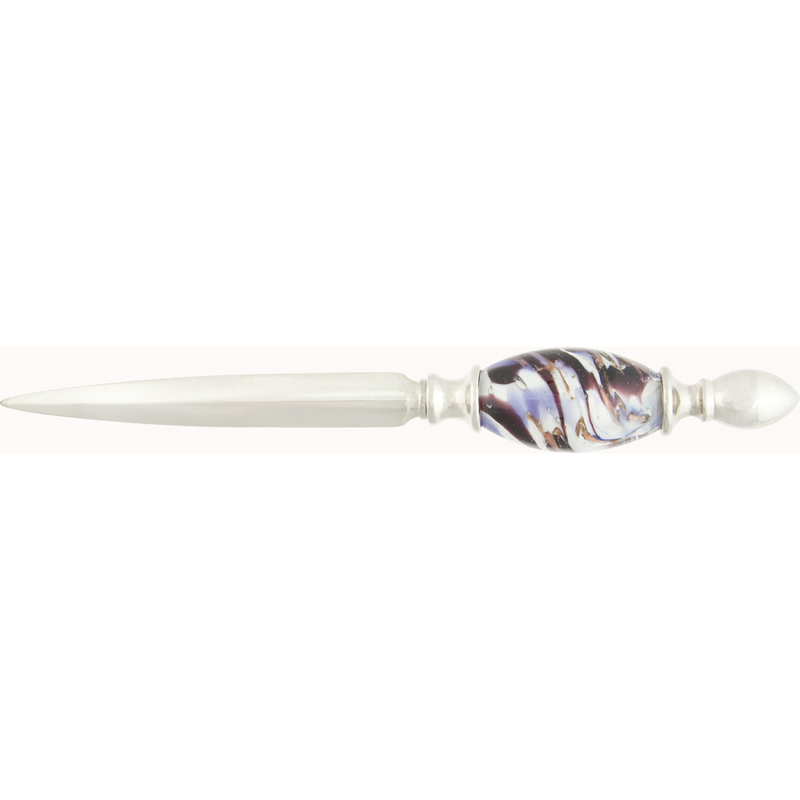 These stylish letter openers feature a handmade Murano Glass Bead with splashes of colors and aventurine which gives it the sparkle over a bed of Ivory colored Murano Glass and all complete encased in clear. The length is approximately 6 3/4 Inches long (17.5cm). These make great office gifts or also for Corporate Gifts. The Plum Purple splashes of color is a favorite..